TBILISI, Georgia, February 25, 2011 (ENS) – Environmentalists in Georgia say the country’s biodiversity and natural resources will be put at risk by government plans to carve up the ministry responsible. Under a restructuring scheme passed by parliament on February 22, the Ministry of Environment and Natural Resources will lose its control over natural resources, which will be transferred to the Energy Ministry. Protected natural zones will go to the Ministry of the Economy and Sustainable Development, while the Ministry of Regional Development and Infrastructure will be put in charge of coastal systems on the Black Sea. 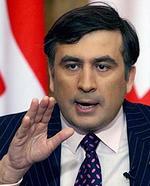 President Mikheil Saakashvili ordered the environment ministry to be reorganized in December after alleging “systemic corruption,” particularly in its forestry department. Environmental groups are urging the authorities to suspend the restructuring process so that public hearings can be held. 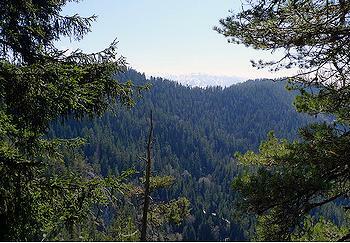 The groups warned that Georgia’s forests are likely to be treated merely as commercial resources as a result of the reform, while putting the economy ministry in charge of the Agency for Protected Areas would diminish the importance attached to preserving ecosystems. “The statement by government members creates the impression that they regard tourism as the sole purpose of protected areas,” they added. Kakha Bakhtadze, program manager for the Caucasian Environmental NGO Network, sees the reorganization as part of a wider profligate attitude to nature. Appealing to the United Nations’ Aarhus Convention of 1998, which encourages public participation in decisions concerning the environment, the Aarhus Centre Georgia and other green groups urged the authorities to ensure broad public engagement on the ministerial reform. Prime Minister Gilauri insisted the changes are designed to focus the environmental ministry on its core activities. Many experts disagree, saying the proposed model will leave the ministry toothless, especially since one of its main instruments of control, the Environmental Protection Inspectorate, is to be transferred to the energy ministry and then dissolved. 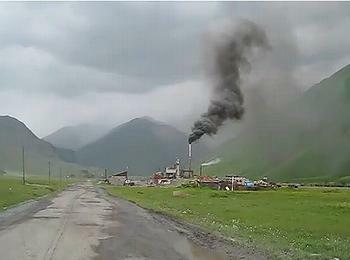 When nongovernmental groups met members of the parliamentary committee on environmental protection and natural resources on February 23, the committee members promised to incorporate some amendments to a more detailed reform bill due to go before legislators, but warned that no major changes are likely.